Come and meet our amazing mini monsters and prove that there’s nothing to be afraid of! Spiders are one of the most misunderstood creatures in the world, but there’s nothing to be afraid of! In our amazing hold a tarantula experience you’ll see for yourself just how gentle and placid these ‘fearsome’ creatures really are. Our meet a tarantula experience can be purchased for you, for a loved one or friend. 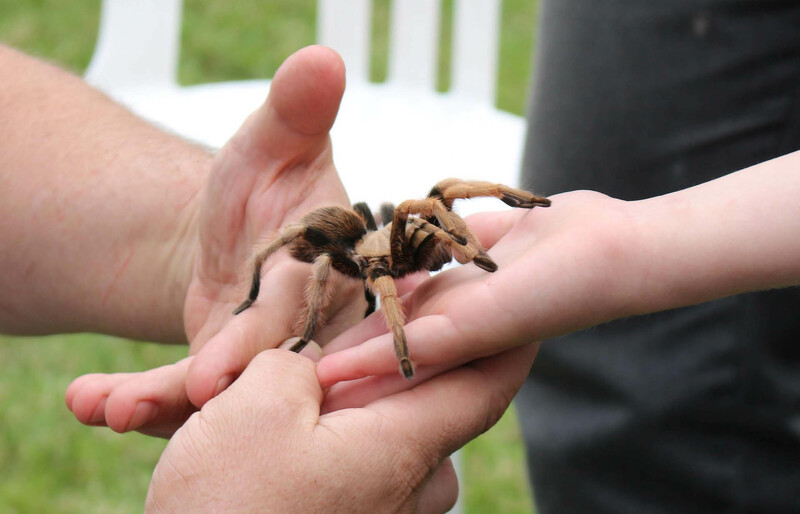 A tarantula experience would make the perfect present for any arachnid lover or someone trying to conquer a fear! In this unforgettable hold a tarantula experience, you will get to meet and get up close to these beautiful creatures. Our tarantula encounter provides a one-to-one tarantula encounter (we also have an option for two participants) where you will be able to help prepare their ‘spidey snacks’, feed them their treats and help one of our Zoo Keepers with a part of their daily routine. This is a fantastic opportunity to ask any of your spider related questions and to get the perfect spider selfie! A talk from our in-house spider expert, who will teach you all about different spider species and their behaviours. Tarantula food preparations in our Zoo Kitchen. The chance to feed our tarantula. The opportunity for some close up tarantula photography. You will receive an Animal Encounter certificate at the end of your tarantula encounter. Entry to the Park is included for the tarantula encounter participant(s). To check availability for our tarantula experience please call the Park on 01323 874100, email us at [email protected] or you can come and visit us in the Visitor Services Office opposite the Park Entrance.